The Western suburbs of Melbourne are not a far second to the East any longer. These days developers are clamouring to get new releases of land and capitalise on the rising price of the area. The inner suburbs have had a massive price rise over the last decade. And now the middle ring of Western suburbs are starting to grow in value at a huge annual rate. 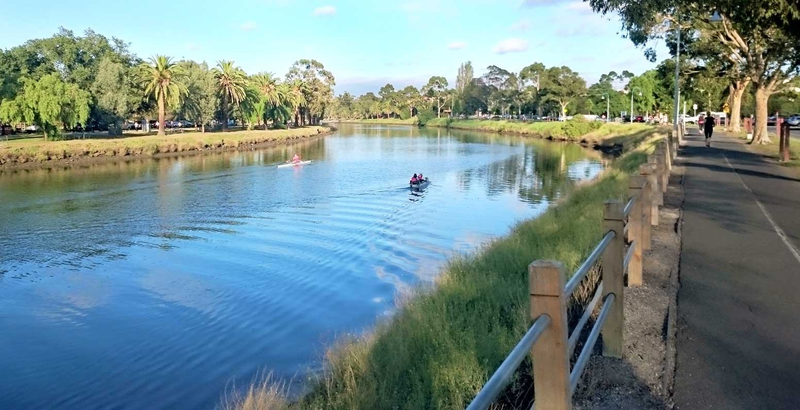 The Maribyrnong river is a stand out feature of the West. Footscray and Yarraville are hugely popular among investors and renters. In addition developers have made good use of the river with fantastic apartment complex built alongside the bank. Furthermore the West has a slew of infrastructure projects in the pipeline. This will bring even more fantastic liveability to the location. A world-class shopping centre sits in West, Highpoint Shopping Centre is also only 7kms from the city. Prestigious Victoria University and plenty of schools, both primary and secondary add to the family amenities. And the parkland not only by the riverbank but the middle west suburbs is beautiful. In addition the Victorian Government has just announced a sale of previous military land will make way for a new inner suburb along the Maribyrnong river. For investors, home buyers and retiree’s, the West makes for great property opportunity. That means the opportunity will bring strong competitive amongst buyers. Whether you are a seller or buyer, tip the sale to your advantage. Use the best conveyancing company in Melbourne. Fordes Conveyancing deal daily with property transfers for clients in the West. We know the market well and have ties with most of the real estate industry in these suburbs. We are fast, affordable and reliable. At Fordes Conveyancing we are highly skilled and work in partnership with a team of lawyers. In addition we have a speciality conveyancing team for dealing with properties that are in the several million dollar value. Consequently you can be assured the property transfer runs smoothly. And without any mistakes caused on your part, that result in delay. Furthermore to private investment, if you are looking at a commercial lease or purchasing a business property. Our team can assist you. Many past and returnee clients of ours from the inner East suburbs are businesses with commercial leases. If you need advice on contracts before leasing, our conveyancing team can offer you these services.